Our belief is the best way to relieve stress is by full relaxation. Our staff is here to help you achieve that goal through our massage packages designed to do just that... release your stress. Deep tissue massage utilizes techniques that are administered to affect the sub-layer of musculature and fascia. Deep tissue massage helps with chronic muscular pain, injury rehabilitation and reduces inflammation-related pain caused by arthritis and tendonitis. Sports massage is designed to enhance athletic performance and recovery. Fast-paced and stimulating, a pre-event Sport Massage helps to warm up muscles and establish blood flow. The intent of post-event massage is to calm the nervous system and begin the process of flushing toxins and waste products out of the body. Prenatal Massage therapies are both effective and safe. During prenatal massage, specific techniques are used to reduce pregnancy discomforts and concerns and enhance the physiological and emotional well-being of both mother and child. Combine the benefits of massage with the miraculous results of Argan oil. Argan oil, rich in antioxidants, will smooth and tone the skin. Switch off, relax your body, and care for your skin. 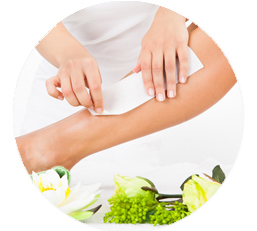 The use of essential oils in body and skin care treatments is known as Aromatherapy. Essential oils aid in relaxation and the improvement of circulation. Specific essential oils are blended and each oil has its own unique characteristics and benefits. Experience Moroccan Steam Spa's modern interpretation of the ancestral moroccan massage. This service begins in the steam room to ease muscles, and focuses on the back scale and feet using traditional moroccan techniques adapted to you. Warm aromatic oils are used on wet body and hair. Makes your feet feel great and more alive. It is beneficial for people who have foot pain, who have worn too-tight shoes in the past, who have poor circulation or nerve conduction in their feet, or who just have tired feet from standing a lot. Massaging a reflex zone on the foot stimulates the corresponding organ, gland, or body part, resulting in increased blood, nerve, and lymph circulation. 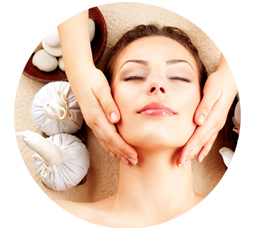 Shiatsu massage is a balance of mental and physical wellness,stress ,and improve overall health. Shiatsu massage is an ancient oriental therapeutic massage treatment in which a trained shiatsu therapist works to adjust the body's energies -- referred to as chior qi -- and physical structure to help the body heal and achieve solid mind-body wellbeing. a non-invasive low risk holistic approach for healing the mind and body, and it is suitable for all ages from infant to adults. Shiatsu is used to treat various chronic ailments including insomnia, fibromyalgia, musculoskeletal pain, neck, back and joint pain, PMS, chronic fatigue syndrome, arthritis, asthma, sciatica and migraines. Shiatsu is also used for reducing stress and anxiety. Cupping therapy is a form of alternative medicine in which cups are placed on the skin to create suction.Increased local blood supply to the muscles and skin will bring nourishment and allow for toxins to be carried away via the lymph. Conditions of chronic and acute pain can be relieved with minimal discomfort and tense muscles softened quickly and easily.wonderfully effective to release restrictions in fascia and scar tissue.